The Sequoia, 5 Bed, South Facing Villa Not over looked. Property 13: The Sequoia, 5 Bed, South Facing Villa Not over looked. Now available May 1- 9, 2019 REDUCED! updated 2 Bed/1 Bath Villa & GOLF CART! 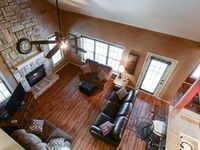 Property 15: Now available May 1- 9, 2019 REDUCED! updated 2 Bed/1 Bath Villa & GOLF CART! 5 Bedroom, 3.5 Bathrooms Pool/Spa home Games Room in Gated Community. South Facing Pool. 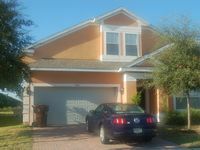 Property 19: 5 Bedroom, 3.5 Bathrooms Pool/Spa home Games Room in Gated Community. South Facing Pool. Stonebridge Villa - Golf course view - Great price for sleeping 10! Close to SDC. Property 23: Stonebridge Villa - Golf course view - Great price for sleeping 10! Close to SDC. BEAUTIFUL 2/2 VILLAS, LAKE-VIEW, KING BED, WOOD-FLOOR!! Heated Pool and Jacuzzi! Property 27: BEAUTIFUL 2/2 VILLAS, LAKE-VIEW, KING BED, WOOD-FLOOR!! Heated Pool and Jacuzzi! Property 28: SPECIAL RATES! Southern Pool with Spa, Privacy Fence, Star Wars Themed! FREE Pool/Spa Heat, South Facing Pool, Gated Community, Two Pinball Machines! Property 33: FREE Pool/Spa Heat, South Facing Pool, Gated Community, Two Pinball Machines! We called when the fireplace pilot light was out but we were told no maintenance because a weekend (holiday). Then, I also text that the toilet seat was not attached correctly but no response. Otherwise, everything was very satisfactory. My parents, brother&rsquo;s family, and our family stayed very comfortably together. We were right between LEGOLAND and Disney. The home is a great layout but does need some TLC. Management was very responsive when contacted, and indicated issues would be addressed. A fresh coat of paint, revitalized game room and a deep clean would make this a great rental.